Where do you need Window Replacement Companies? Comment: This is for the Victorian Gables Homeowner Association. The original contractor used lumber to construct ~105 window wells in the early 1990s. Of those 105 window wells, (8) are literally falling apart, (10) need to be either repaired or replaced and another (19) are showing early signs of decay and need to be watched. Comment: just have some screens that pop out and i have had them re-screened at a few different hardware stores but they are totally whacked out of shape.. a couple are just missing.. Comment: I have a small window in what we use as a guest bedroom. While we have no plans to sell, i would like to add the egress window so that we can make our house a legitimate 4 BR house to increase its value. Just looking to get an idea of how much this project is going to cost me. Comment: I HAVE WINDOW WELLS THAT I WANT TO HAVE COVERED IN STEEL AND HAVE EGREES. THEY ARE RECTANGULAR WITH AN APPROXIMATE SIZE OF 4 FT BY 9 FEET 3 INCHES. Comment: All existing window wells are to low. Either need to be replaced or extensions added. 4 of the 5 already have extensions that aren't high enough. Need quotes for extensions and well replacement. House was built in 1994 so assuming that the window wells are that old. 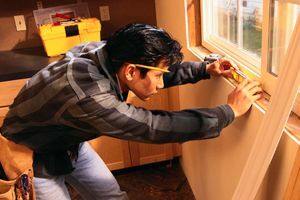 Fort Collins Window Replacement Companies are rated 4.79 out of 5 based on 433 reviews of 34 pros. Not Looking for Windows Contractors in Fort Collins, CO?